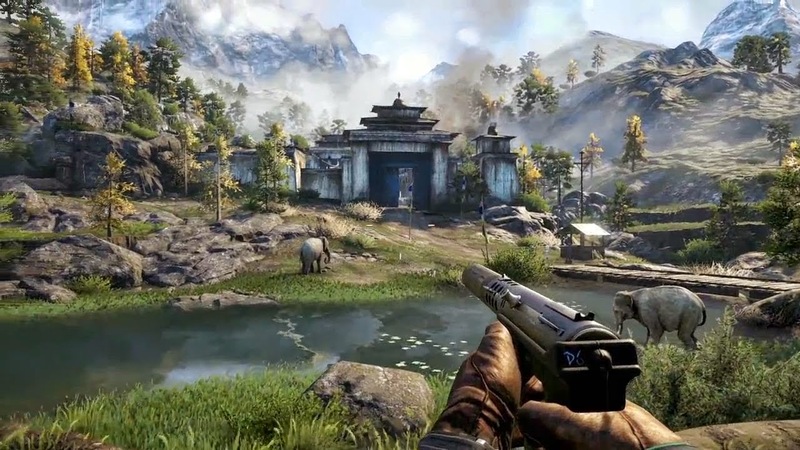 While at PAX I swung by Ubisoft's booth to take a look at Far Cry 4. As a big fan of the series - which starts with Far Cry 2 as far as I'm concerned- it was one of the games I was most excited to see. The emails I had exchanged prior to PAX made mention of getting my hands on the new Shangri-La mode, the built in Blood Dragon-esque experience. Unfortunately, it was decided that they weren't quite ready to show it at PAX, and it was pulled. I did get to play a bit of the E3 demo and try my hand at a small mission in a variety of ways. Starting in a field outside a large temple turned stronghold, I was given a shotgun and heavy machine gun and directed to a nearby elephant. Hopping atop the beast, I charged through the gate, splintering it underfoot. The guards reacted quickly and before I had gotten my bearings, they'd activated an alarm and called for reinforcements. The area was flooded with enemies who quickly cut down my brave elephantine friend and then me. I then relived the cycle of events again and again. Finally deciding that the "full steam ahead" approach was not working and guilty about sending several elephants to their deaths, I looked for another way into the compound. Along the eastern wall, I found a way up and over. I crept through the alleyway and stealthily killed a couple guards before disabling the alarm. The stronghold I was tasked with breaking into. As I crept back into a building, a rooftop guard spotted me. I wheeled around and shot him, but I already had several other guards advancing on me. They forced me back through the buildings and back up to the wall I had come over. Looking for a way to escape or turn the tide, I spotted a mortar on one of the towers. With it, I rained barrage after barrage on them until the last one fell. I had won, and my demo was over. I restarted the demo and ran through the other options it gave me, each one equipping me for a different approach to tackling the fortress. One handed me a sniper rifle and a crossbow, the other gave me an SMG, grenade Launcher and a gyrocopter. Both were a lot of fun to try, but I don' think I'll soon forget the experience of hovering above the compound with my grenade launcher. 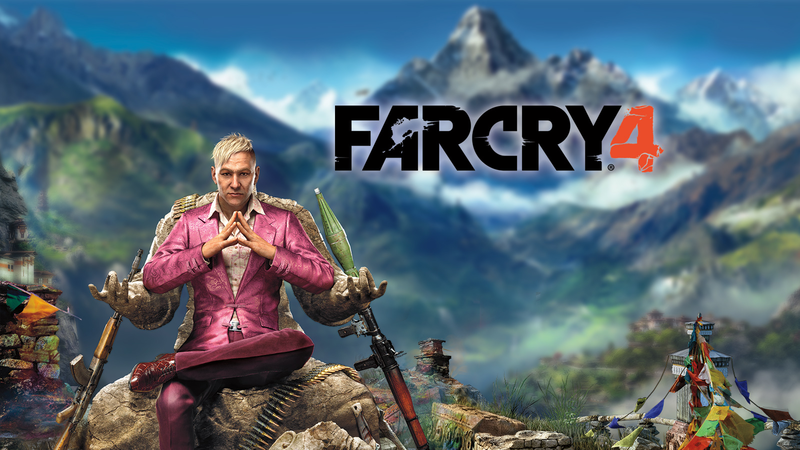 My time with Far Cry 4 was short; almost too short to really form a solid opinion about the game. The only really new elements I encountered were the Elephant and Gyrocopter. Everything else played pretty similarly to Far Cry 3. This isn't a bad thing at all; Far Cry 3 was a great game. I think everyone should take a step away from the hype machine though, and realize that Far Cry 4 isn't "all new and improved." What I saw was very close to the series I've come to love. 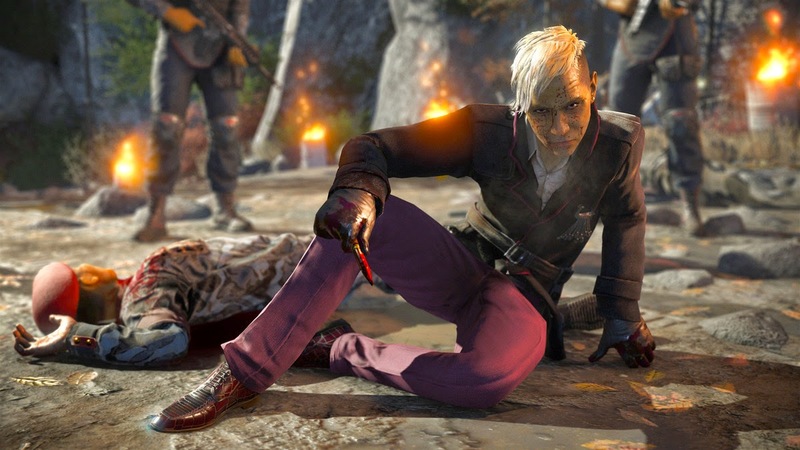 Pagan Min, Far Cry 4's psychopathic antagonist. Voiced by Troy Baker, I have high hopes for his performance.